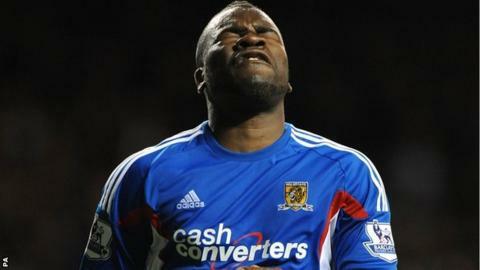 Birmingham City have signed experienced Hull City striker Aaron McLean on an emergency loan. The much-travelled 30-year-old Londoner has joined the lowly Championship outfit until 1 January. McLean has netted 12 goals in 83 games in a Tigers shirt since arriving from Peterborough United in December 2010, but he has featured only once in the Premier League so far this season. Blues have struggled for goals in the Championship, with just 17 in 15 games. And, although Nikola Zigic is back fit again, having scored in the heartening 3-1 win against Blues manager Lee Clark's old side Huddersfield Town, they were hit last week by the loss of fellow striker Matt Green to a season-ending knee surgery. McLean's most prolific spell came during his time at London Road, when he scored 83 goals in 187 appearances for the Posh.